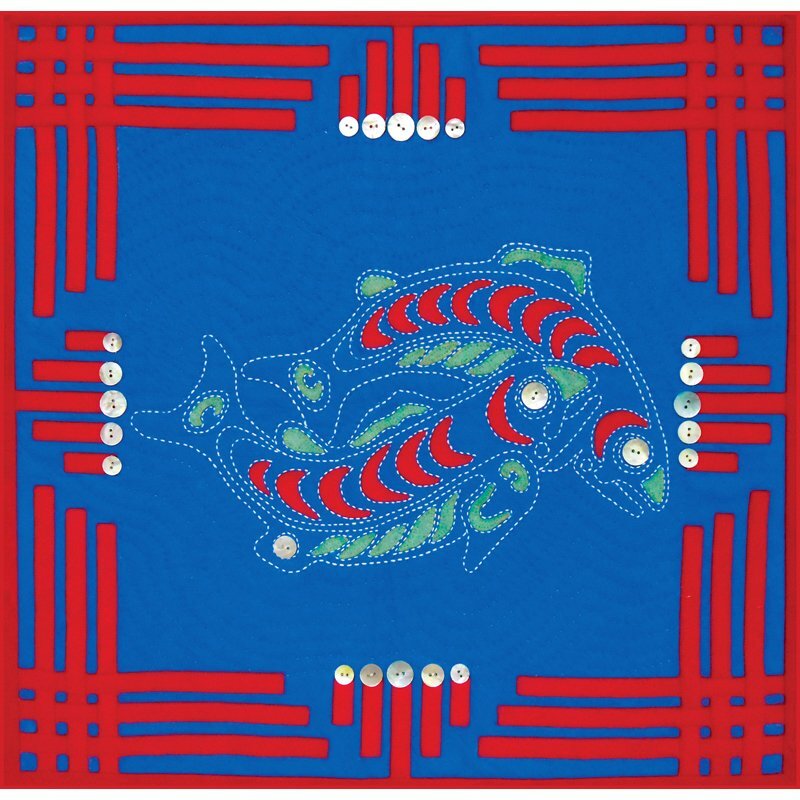 Inspired by the art of the Tlingit -background is felted bamboo-rayon that is soft enough to pull sashiko thread through it. Borders and applique 100% wool. Embellished with abalone buttons.